Be an angel and create and establish a smashing effect on any person by carrying this eye-catching rama green colored gown. 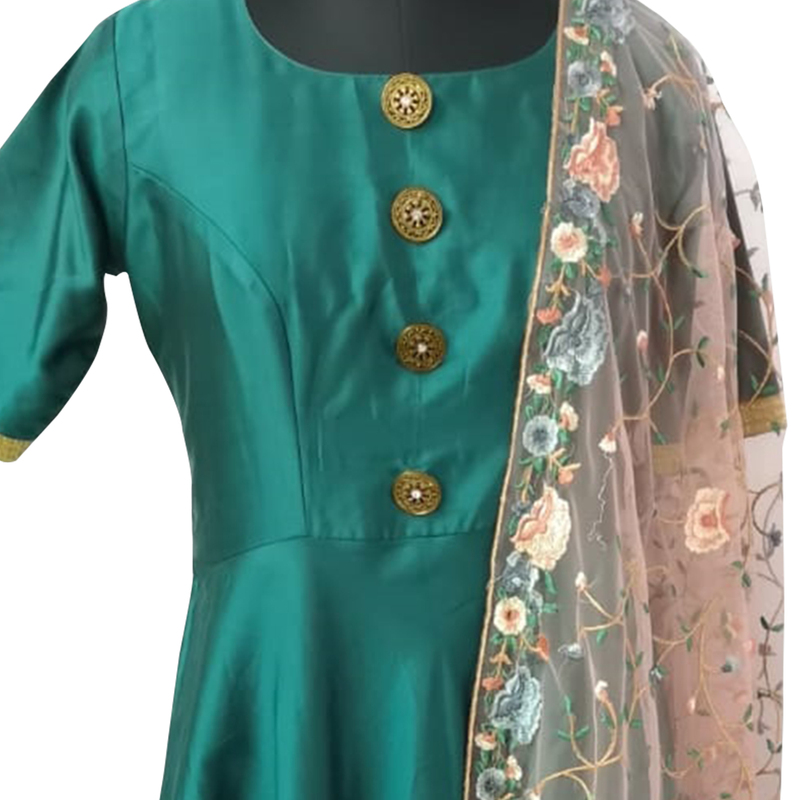 This beautiful semi-stitched gown is made of satin fabric and prettified with beautiful flare which makes it appear classy. 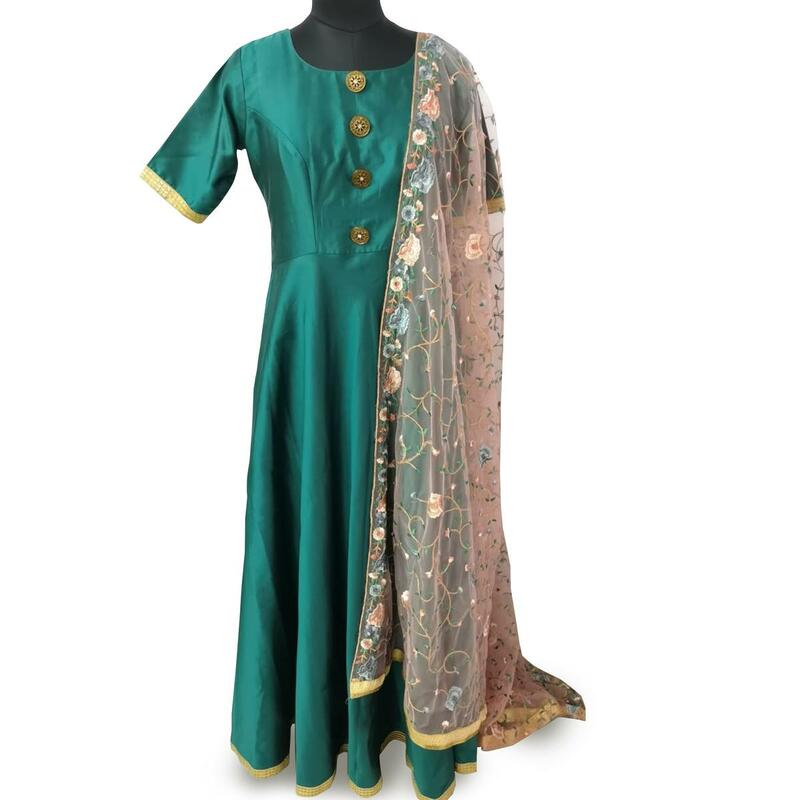 comes along with embroidered netted dupatta. Women can buy this gown to wear for their upcoming functions, receptions, parties and occasions. Team it with ethnic accessories to make your looks more beautiful. This attractive gown would surely attract you showers of compliments when you wear it. Grab this dress before someone else gets it and wear it.